A glamourous art deco inspired wedding ceremony and reception at the historic Hilton Netherland Plaza Hotel in downtown Cincinnati. Florals were a luxe mix of white orchids, subtle blush and peach roses and bursting tufts of hydrangea. Every detail of the day had hints of glitter, gold and silver from the bride's bouquet to the chiavari chairs. The lighting for the reception in the Hilton's Hall of Mirrors was rich and dramatic. 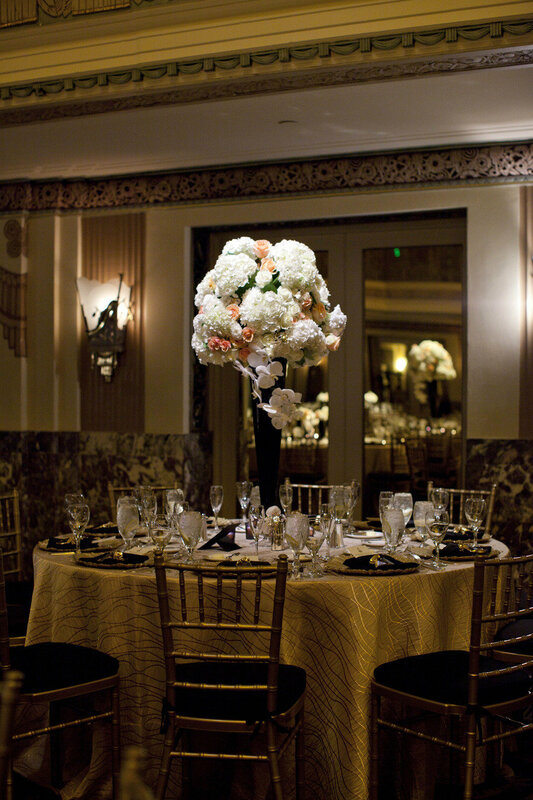 Reception tables were set with gold tablecloths with gold chiavari chairs covered in black frilly fabric. We used bright, mostly white florals that would stand out in the low light. The reception tables were set with a mix of tall and short arrangements. Tall black vessels held focal arrangements with thick white roses and hydrangea. 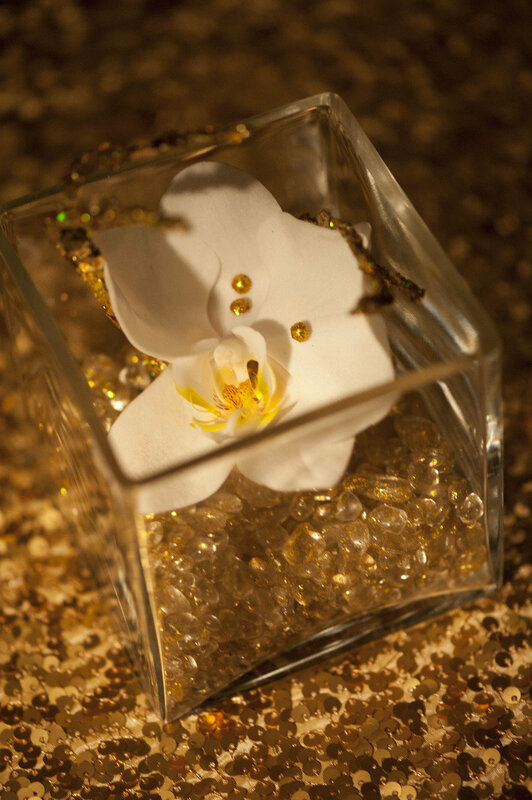 White orchids cascaded down the vases. Short arrangements in groupings of four held roses and a glittery mix of art deco inspired baubles.